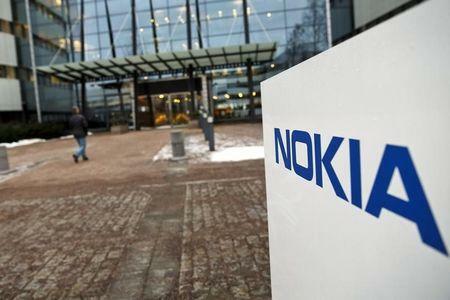 HELSINKI (Reuters) - Finland's Nokia denied reports in Chinese media that it planned to return to manufacturing phones. "Nokia notes recent news reports claiming the company communicated an intention to manufacture consumer handsets out of a R&D facility in China. These reports are false," Nokia said in a statement posted on its website. However, Nokia has said it is looking into returning to the smartphones business by brand-licensing. Nokia sold its phone business to Microsoft last year, but just months after that it launched a new brand-licensed tablet computer, produced under license by Taiwan's Foxconn, with an intention to follow up with more devices. Nokia has agreed with Microsoft that it will not enter the mobile phone business before 2016. "It would be crazy not to look at that opportunity. Of course we will look at it," Sebastian Nystrom, the head of products at Nokia's Technologies unit, told Reuters in November. Nokia this month announced a takeover of France's Alcatel-Lucent, a bid to boost its mainstay network equipment business, and also said it could hive off its map business, which has reportedly drawn interest from carmakers as well as Facebook and online taxi service Uber.